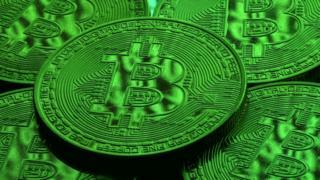 Researchers in Germany have found hundreds of links to child sexual abuse imagery on Bitcoin's blockchain. This could make using the blockchain, a digital ledger of crypto-currency transactions, illegal. The study, from RWTH Aachen University, also said other files on the blockchain may violate copyright and privacy laws. Researchers said they had found eight files with sexual content. And three of these contained content "objectionable for almost all jurisdictions". Two of these between them listed more than 200 links to child sexual abuse imagery, the study said. And if records of the files were stored on users' computers, they may be in violation of the law. Garrick Hileman, a crypto-currency expert at Cambridge University, said the issue of illegal content had been "discussed and known about for awhile." Pruning, or altering parts of the blockchain ledger, would allow users to rid their local copies of illegal content, he said, but was likely to be too technical for most Bitcoin users. "There are big barriers anytime you need to make modifications," Mr Hileman said. But he added that although maintaining a complete record of the blockchain was more secure than an altered copy, "many would argue that it's not that important".